I received compensation for the products used in this post in collaboration with Collective Bias. All opinions, thoughts and ideas are my own. Can you believe that we are just a week or so away from October already? It’s time to start prepping for Halloween fun and that means party time at our house. 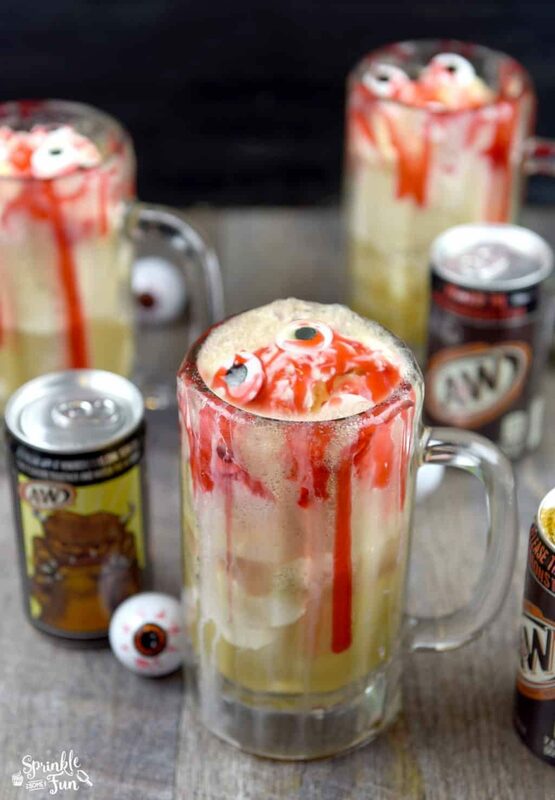 I made these super yummy Salted Caramel Root Beer MONSTER Floats and we all thought they were perfect for the occasion. 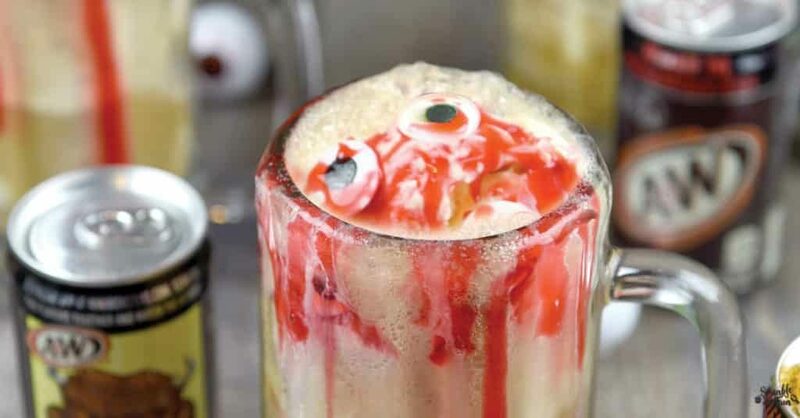 Of course I used A&W® Root Beer, vanilla ice cream, edible eyes, red colored caramel and a sprinkle of salt. 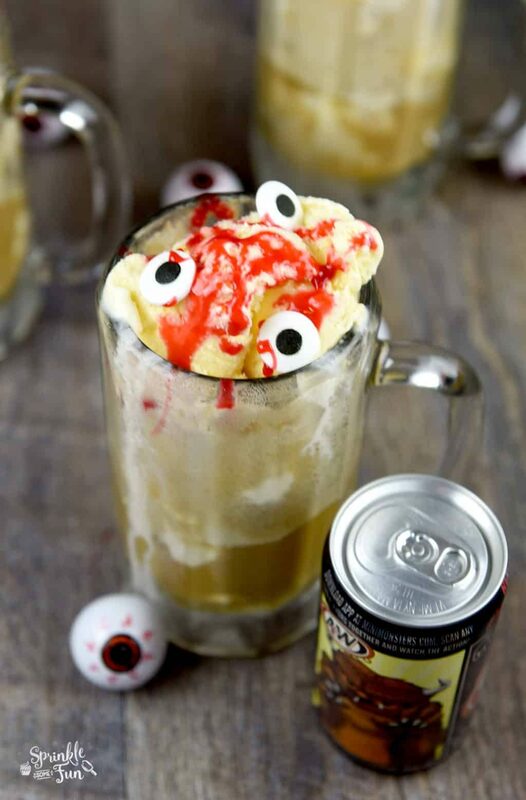 It was a tasty and hilarious version of a root beer float! Speaking of monsters… be sure to check out the backs of your favorite 7.5 oz. sized soda cans for the #minimonsters ! Once you purchase them then download the app here. You will have lots of fun while your monsters fight each other in an augmented reality. Make sure that you purchase 2 different flavors of soda so you will have two monsters on the app to interact with. You can find the list of flavors on the #minimonsters website. I will be hosting a LIVE Facebook event next Wednesday night (September 28th) at 8PM EST. 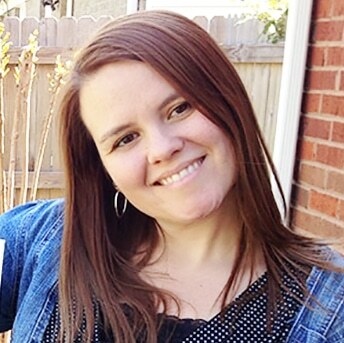 I will have lots of Halloween tips and tricks to share with you all… I hope you can join in! As always be sure to share your own ideas while you are there. It will be lots of fun!